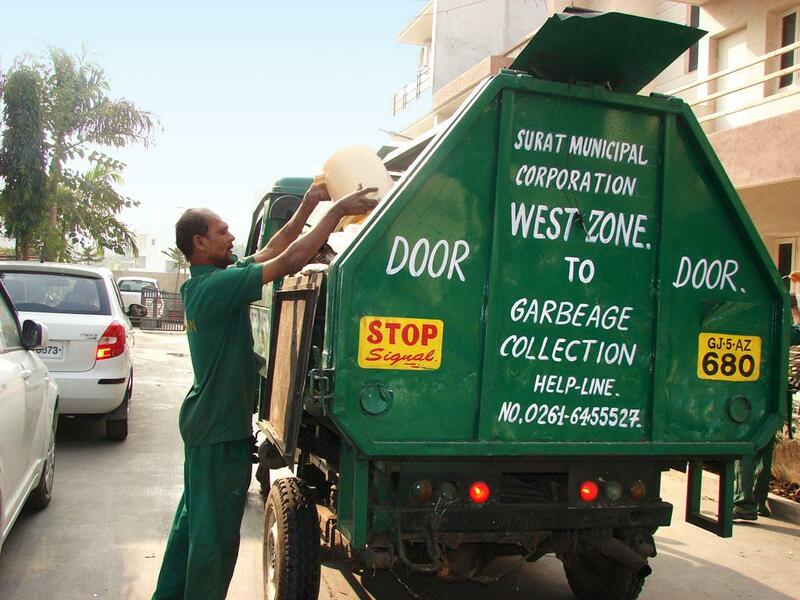 Ahmedabad: Door to door garbage collection service of Amdavad Municipal Corporation(AMC) will no more be available for free. It will be a chargeable service with effect from 1st October this year. A proposal of municipal commissioner moved in this regard has been OKayed today by Standing Committee of AMC. According to details available, slum units that are not covered under tax will not need to pay any charge for door to door garbage collection service. Each affordable housing unit will need to pay 50 paise per day for this service. For general residential units and shops smaller than 50 square meter in size, the charge will be Re 1 per day. Commercial properties will need to pay Rs 2 per day. At present, the service is offered for free by AMC. Payable amount will be added to annual property tax bill. It will not need separate payment.